2016 will be the 5th Annual Island Reggae Festival with performances from international and Pacific Island reggae artists. The event held every July at the Santa Clara County Fairgrounds offers world class reggae music and fairground rides along with island culture food, arts & crafts vendors. 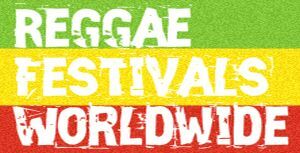 Rudebwoy Entertainment presents the 5th annual Island Reggae Festival held at the Santa Clara County Fairgrounds, 344 Tully Road in San Jose, California. The event offerings in 2016 include activities on three stages with live music on the Main stage, the Oasis stage will host a DJ sound clash and the third stage will feature the Polynesian Dance Showcase. The event also features carnival rides for children, the USO Car Club Showcase, a youth Rugby tournament and a Tattoo Showcase. The gates open at 10 am and the event concludes at 11pm. Artists on the lineup for Island Reggae Festival consistently include some of the Pacific Islands’ greatest talents and those that have been embraced by the culture. In 2016 the lineup includes the Common Kings who will perform the closing set at Island Reggae Festival 2016. A band with cultural roots in the South Pacific and based currently in Costa Mesa, California, they tour the world and rule the airwaves with their high energy island style reggae flavored by R&B style vocals and polished production. Coming from Jamaica is Tarrus Riley, an artist who rose to the top of the reggae charts with his conscious lyrics and strong hooks that uplift the culture. He’s released six albums and appeared on many of the world’s most prestigious festival stages with his band Blak Soil. Most recently, he reached the Billboard top 100 and “charts worldwide with his song Powerful” a duet with UK artist Ellie Goulding that was produced by Major Lazer. Representing the island nation of Bermuda on the Atlantic side of the globe is the artist Collie Buddz who gained popularity after exploding on the scene in 2007 with his chart topping-“Come Around”, he continues to tour extensively with his unique brand of reggae influenced by hip-hop. Returning to the Island Reggae Fest 2016 stage is the legendary Fiji whose stage name reflects his cultural background and whose golden voice has made him a pioneer of the Pacific Island sound and its most well-known artist and pave the way for the careers of many others whom he has personally mentored throughout the years. Female singer-songwriter Anuhea returns to the festival in 2016, born and raised on Maui in Hawaii, although she is of Caucasian descent she has ruled the live music scene and radio waves for the past several years with her own brand of pop influenced hits sung over reggae rhythms. Sammy J from New Zealand returns to Island Reggae Festival 2016 with his sweet vocals influenced by R&B and reggae. Pacific Island reggae music receives a great deal of attention both at traditional broadcast radio and online as those that have moved from their birthplace or those that represent the next generation maintain a strong cultural connection through music. 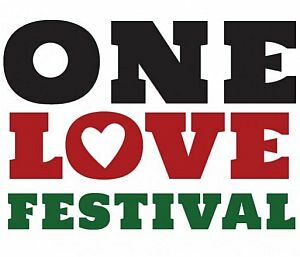 Some of the most well-loved artists in the genre today will be at Island Reggae Festival including Tenelle, Pati, Jordan T, Mango Kingz, Makisi & Fina Love. A family-friendly event, this year there will be free carnival rides and games for ages 13 and under. The event will feature over thirty merchandise and food vendors with Polynesian food as well as some of the best in festival food favorites. Returning in 2016 is the Youth Rugby 7’s Tournament. Rugby is a popular sport in the South Pacific Islands. This year the tournament will invite youths from the ages 8 to 14 known as U8-U14 to participate. The tournament will take place from 8am to 3pm and the winners of each age group will be announced on the main stage and receive a hand-crafted Island Reggae Festival plaque inscribed with their team name. The USO Car Club will host the USO Car Club Showcase. For the past 10 years this group has been led by CEO Kita Leao. Mr. Leao is of Samoan descent and has instilled elements of the Samoan culture with his car club members. The meaning of the word USO is “brother” in the Samoan language and this is the shared sentiment between all of the car club members. Cars will be showcased as a reminder to the Polynesian youth that hard work and dedication can result in a car that is ready to be presented in a showcase. The Car Club Showcase is an opportunity to spotlight the lifestyle and interests of Polynesians in the United States. The Polynesian dance showcase and competition will present dance groups and styles from various islands in the South Pacific including Samoa, Tonga, Hawaii, Tahiti, Fiji and New Zealand. Groups will come from Southern California, the Central Valley and Northern California as well as local groups from within the Bay Area. Dance groups will be presented with a hand-crafted Island Reggae Festival 2016 plaque and with the opportunity to dance on the festival’s main stage for the group with the winning dance performance. The Tattoo Showcase will be featuring some of the most popular Polynesian Tattoo artists who will be tattooing live at the festival and giving tutorials on traditional Polynesian tattoo patterns and what their symbols and origins derive from. Tickets are available on line through the Island Reggae Festival website islandreggaefest.com or at 24 regional ticket outlets in the Peninsula Area, San Francisco, North, East and South Bay, Sacramento, Stockton and Monterey areas. Morgan Heritage, The Green, Third World, House of Shem, Sammy J, Kapena, Maoli, Finn da Groovah, Drew Deezy, Teki, Spawnbreezie, Trey Smoov, Samu, Luisa Lavulo, Essel and Servants.